At the State Fair this year, a woman working one of the exhibits told us of this egg phenomena. 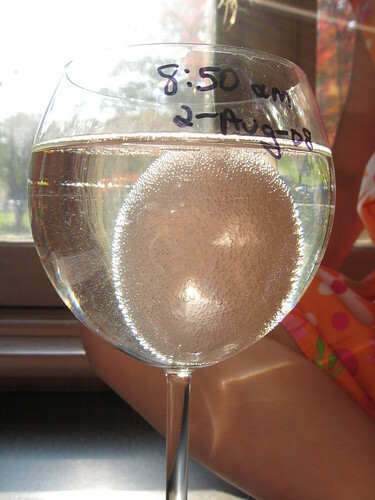 We did the shelling of an egg in vinegar before. She told us of a part the sequence I never heard of. Take the shelled egg and place it in corn syrup and the water gets sucked out (free energy thing I guess). Had to observe it. Frankie and I were on it as fast as we got in the door. Here are the observations. Very cool. Day 1: Vinegar degradation of the shell in process. 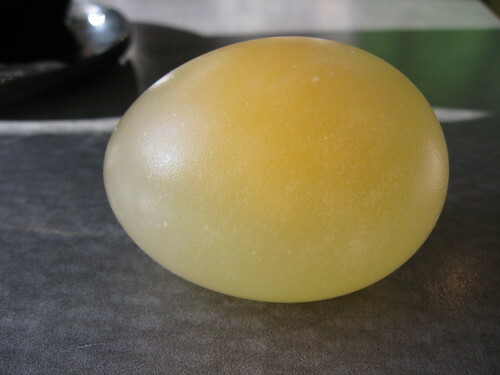 Day 2: Egg after 1 day, residual shell brushed off. 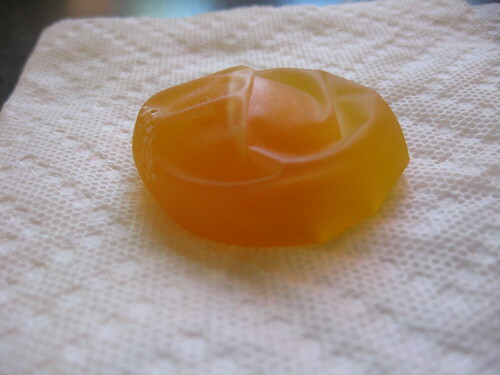 Day 8 (or so): The shelled egg suspended in corn syrup for several days, dehydrated and leathery, ick. No? Actually, the dried one was disgusting.